Blaise Matuidi is a professional French footballer, who plays both as a central and defensive midfielder for his national side, France, and Serie A side, Juventus. He was born on 9th April 1987 at Toulouse in France. The left-footed player is certainly not the most gifted footballer, but he can make things happen with immense work-rate and gutsy attitude. Raised in a poor suburb in Paris, Matuidi started his football career at Us Fontenay-Sous-Bois in September 1993 and spent five years in the French club before joining Co Vincennes in July 1998. He moved to US Creteil Lusitanos in July 2001 and in the next year he started training at the INF Clairefontaine academy. At the age of 16, he joined Troyes, a local club of Champagne region. He was handed over his professional appearance in a Ligue 2 encounter against Gueungon in November 2004. In the next season, he acquired more prominence as his side was promoted to Ligue 1 and became a reliable midfielder in the French top-tier. Matuidi joined another Ligue 1 side, St Etienne, in July 2007 at 4.5 million Euro. He inspired his new club to qualify for the Europa League in the first season and gained admiration for his interceptions and tackles. Matuidi represented France national team at Under-18, Under-19 and Under-21 level. Matuidi made his international debut as an 80th-minute substitution in the Group D Euro Qualification match against Bosnia-Herzegovina in September 2010. He was stationed at the central midfield in his short stint in the field. However, he was left out of the squad after his debut match. On his return to the national side, Matuidi was awarded a first XI start in an International Friendly against Croatia in March 2011. Matuidi played quite well in the 2016 European Championship but got overlooked in the presence of stars like Pogba, Griezmann, Payet. French coach, Didier Deschamps, deployed him both in the central and defensive midfield to orchestrate the rhythm between attack and defence. Statistically, the French midfielder had the success rate of 92% in passing throughout the tournament. At the beginning of his international career, Matuidi hardly played any match. He stayed on the bench in the entire Euro 2012. 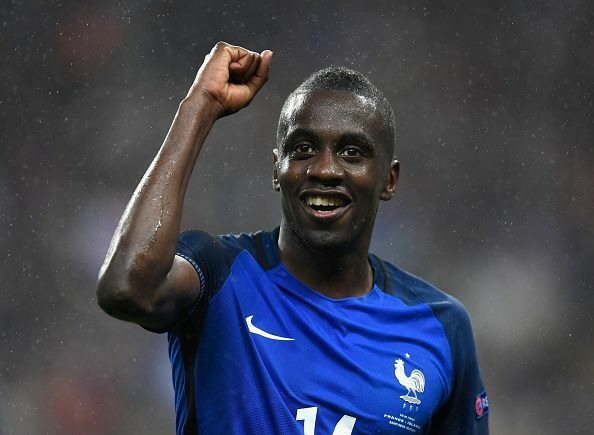 In his only 13 appearances for the Les Bleus, Matuidi got the captaincy armband in an international friendly match against Uruguay in Montevideo in June 2013, going down to Lation Americans 1-0. The midfielder led France twice more-against Armenia in October 2014 and Wales in November 2017. Matuidi in his two-year stint with Troyes scored three goals in 67 appearances. Following his move to St Etienne, the midfielder played 98 matches in four seasons. In July 2011, Matuidi joined Paris Saint-Germain at 7.2 million Euro. In his seven seasons at the Paris side, Matuidi played 203 matches winning four Ligue 1 titles. In August 2017, the French international joined Italian side, Juventus, at 20 million Euros. He impressed all with his down the flank run and impeccable understanding with Mandzukic and Sandro in Turin.